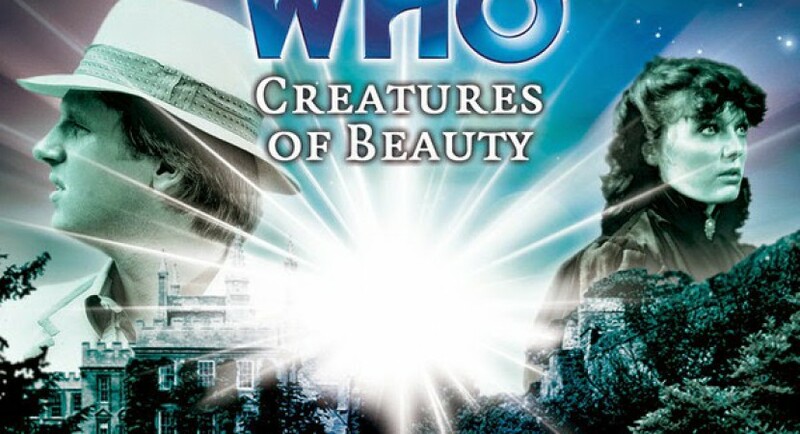 One of the most well-crafted, provocative, and powerful Doctor Who stories ever, you won’t soon forget Creatures of Beauty. It maintains an uneasy tension throughout, like a chord that never quite resolves. There’s two things you should know about this story: it’s presented out of chronological order, and episode 4 reveals things that the Doctor and Nyssa didn’t find out. The fragmented structure helps convey the central theme: multiple points of view. (Loosely: Part One is Nyssa’s and Brodlik’s experience, Part Two is the Doctor’s and Lady Forlean’s POV, Part Three is the end of the story, and Part Four is the beginning.) Nobody sees the whole picture, so they’re acting based on fragments of the truth. That is poignantly true for the Doctor, who identifies the threat this planet faces even before he lands, but is ignorant of the context. One inhabitant takes him to task for breezing in and treating it like a child’s puzzle, and for assuming in his alien superiority that he can save them. Does he have the right? Or is he too ignorant of their culture and situation to be a force for good? Might his interference make their situation worse? Or is it worse for him and Nyssa to abandon this unhappy planet to its fate? During an important moment early on (or is it late? ), Nyssa asks the Doctor if they’re doing the right thing. He isn’t sure. There’s some fantastic, subtle character moments between them. You can really hear how their relationship has deepened in the BF stories, never more than when they disagree. The first half of the story unfolds through tight set pieces between Nyssa and an interrogator, and between the Doctor and the leaders of the other faction. Especially good acting all around helps maintain the atmosphere of mistrust and garbled communications. In particular, Sarah Sutton puts in a psychologically raw and gripping performance as Nyssa. The character gets knocked about in a way that one just couldn’t do on regular Who. You can hear the pain and ragged exhaustion in her voice. Yet she asks shrewd questions that buy much-needed time. Most of all, Creatures of Beauty is a sympathetic deconstruction of the Doctor’s endearing flaws: his curiosity, his tendency to stick his nose in, and his habit of choosing one side to support and another to thwart. We’re invited to judge his actions. A word of warning: there are a few fleeting moments of brutal violence in this story. They’re short, but disturbing to listen to. I’ve heard Creatures of Beauty at least a half-dozen times, and I’m still noticing new nuances each time. I’ll mention a few in the spoiler section below. One thing used to confuse me about this story: Why do the Doctor and Nyssa remain so suspicious of the Koteem and Veln working to save their dying race? Granted, the conspirators are defying their own governments, and their project will change the fabric of Veln society in a dramatic way. The Doctor and Nyssa don’t actually hear what they’re up to until nearly at the end of Part III, and then he calls it an invasion of sorts. He’s not entirely certain whether the now-altered Veln undertook the procedure voluntarily. With this listen-o-thon, I heard Five & Nyssa’s adventrues in the proper order. This one comes directly after Spare Parts. No wonder the Doctor doesn’t like Quaid’s explanation that “we are the future.” He’s just seen what happens when people try to stave off extinction with medical transplants. The most controversial thing about this story, of course, is that the Doctor and Nyssa unknowingly cause, or at least contribute to, the disaster. It’s just as well they don’t realise it, since the guilt for both of them would be unbearable. Nyssa was horrified enough as it was, witnessing a grisly death she couldn’t stop.